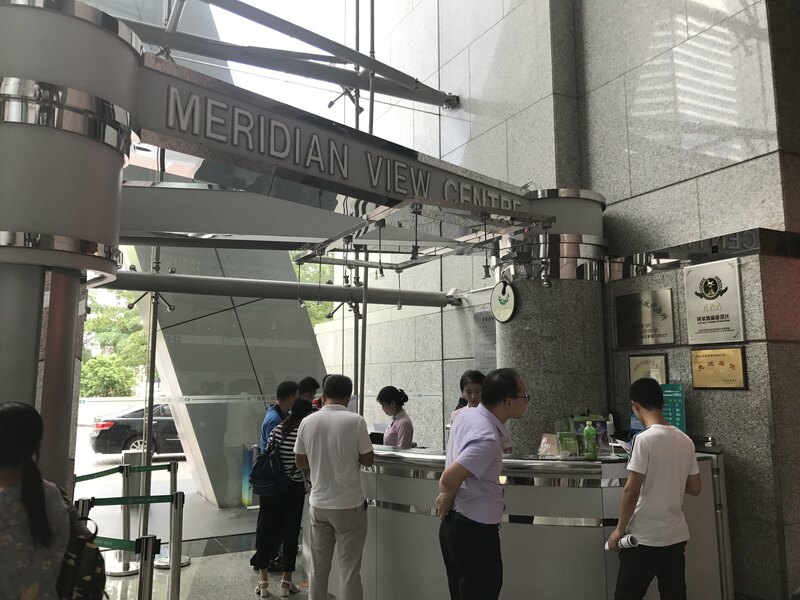 If you are in Shenzhen and looking for a quick weekend destination for few hours, interested in city panoramic views, Shenzhen Meridian center is the one which you must not miss. Meridian View Center is on the 69th floor of Diwang Mansion, at a height of 384 meters with 15 entertainment areas. 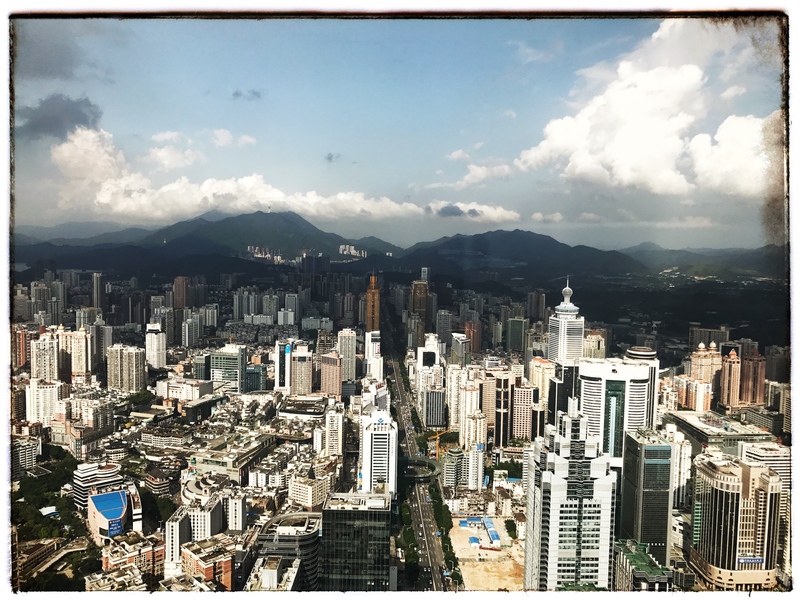 Standing at 69th floor, you can have a bird’s eye view of Shenzhen and Hongkong, Shenzhen river flowing across Shenzhen and HongKong looks like a thin belt across the two. One can enjoy the beautiful panoramic view of cityscape, blue sky and will be more beautiful during a cloudy day. You can also see Dongmen, Shenzhen Stadium, the Shenzhen River, and far, far away, the Shenzhen Bay Bridge (west) and Mt. Wutong (east).Don’t forget to wait until sunset which gives you an amazing city light view. 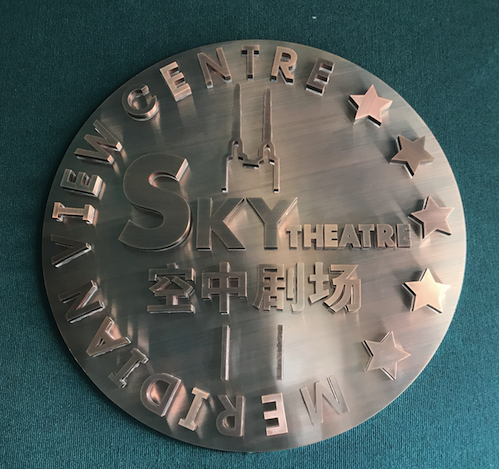 In addition to the city view, the center has historic details been showcased on how Shenzhen developed from a small fishing village to international city, historic documentaries are shown to give the tourists a sense of China and Shenzhen, the return of Hongkong, the establishment of Hongkong and other historical milestones. The like waxworks of Mrs. Margaret Thatcher and Mr. Deng XiaoPing having a friendly conversation with Tian’anmen square as background. Kids have good opportunities to play with an intelligent robot, some computer games for free. Interestingly this building is still drawrfed by KK100 building. The admission is 60rmb (30rmb for kids under 150cm tall). Ticket can be bought at ground floor at the east door of Diwang building and you can pay an extra security deposit to get a personal telescope for enjoying your city view. Plan to visit during the afternoon to avoid long queues. Evenings will be more crowded and long queue because of the fantastic view of the city under the light. The View Deck is open daily from 8:30 a.m. to 10 p.m., great for viewing the city lights. By subway, take Line 1 ( Luobao line ), get off at Grand Theatre station and then exit from D-Exit to reach. Don’t forget to feedback us if any more to be added to the list.